We all have our stash of holiday recipes that we know and love, but it's also fun to surprise our family with a new baked surprise. These bloggers have the (baked!) goods! Yes, we'll always have those favorite recipes that truly make the holidays magical. And no, we'll never stop making those, but sometimes it's nice to have a new baked good up your sleeve! We've checked out some of our favorite food blogs and found these five recipes that we're certain will delight your family this year and maybe even make it into your holiday treat rotation for years to come. We fell in love with Willow, from Will Cook for Friends, within seconds of landing on her blog. Her writing is fantastic, her recipes are delectable and her personality? Fantastic. And? We love the way she views the role that food plays in our lives: "I believe that food is so much more than just sustenance — it is nourishment for every level of our being." Yes... that! 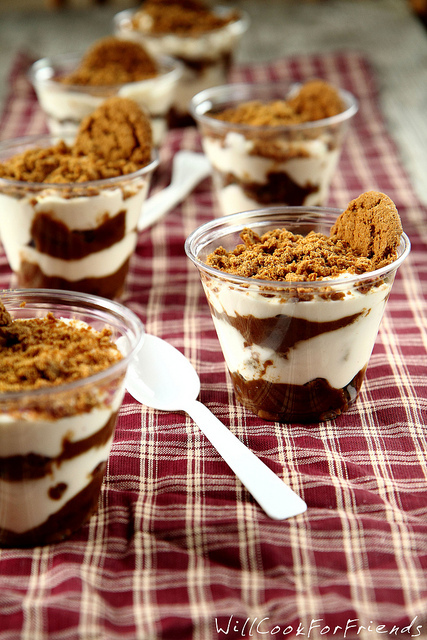 And this Eggnog Gingersnap Tiramisu recipe is exactly the nourishment we need! Look for Willow on her blog and also over on Facebook! ^ Click here for Willow's recipe and check out her about me page to read more about her relationship with food!